The mobile engagement market is expected to be valued at USD 4.44 billion in 2017 and is expected to reach USD 38.70 billion by 2023, at a CAGR of 43.46% between 2017 and 2023. That according to a new study by award-winning market research solution firm, Reportlinker. Major factors driving the market include increasing use of mobile device applications and growing focus on the mobile first strategy. However, high initial investment to set up mobile engagement campaigns and difficulty in monetising mobile apps are the major restraining factors for this market. The market for SMEs is expected to hold the larger share during the forecast period as a large number of vendors are likely to come up with solutions specifically to cater to the demands of SMEs. This is expected to help these businesses go mobile and start making use of digital marketing to drive traffic and increase sales. The market for the financial services vertical is expected to grow at the highest rate during the forecast period. The key reason contributing to this growth is the proliferation of mobile devices, which has enabled businesses with real-time marketing elements for various financial services, such as insurance and banking. 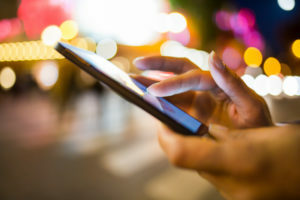 The market for mobile engagement in APAC is expected to grow at the highest CAGR during the forecast period owing to the rapid deployment of mobile telecommunication infrastructure and the increasing usage of smartphones. The market for mobile engagement is expected to hold the largest share in the North America because of the increased the adoption of mobile wallets as they are in-built apps in iOS (Apple Wallet) and Android (Android Pay) phones. The key players operating in the market include IBM (US), Salesforce (US), Oracle (US), Adobe (US), Vibes Media (US), Selligent (Belgium), Urban Airship (US), Appboy (US), Localytics (US), Swrve (US), Tapjoy (US), and Marketo (US). In this report, the market has been segmented on the basis of user type, solution, vertical, and geography. It offers a detailed view of the market across four main regions—North America, Europe, APAC, and RoW (comprising the Middle East and Africa, and South America). The strategic benchmarking has also been included in the study.